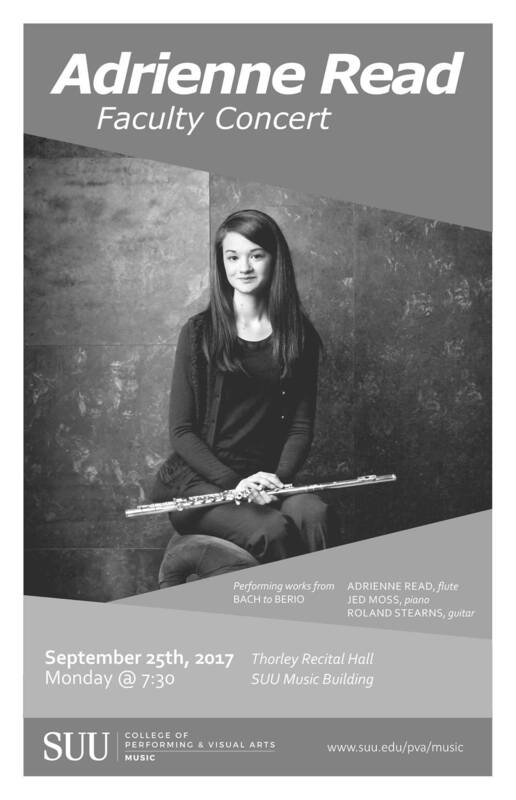 Adrienne Read is a member of the SUU faculty and will be performing in a concert on Monday, September 25, 2017 at 7:30 pm in the Thorley Recital Hall in the music building. Adrienne Read will be on flute, Jed Moss on piano and Roland Stearns on guitar. Performing works from Bach to Berio.